The Martin Agency and Virginia Tourism Corporation are launching the first work since the creation of the brand’s iconic slogan “Virginia Is For Lovers” was released 50 years ago. But that was then and now the country is more divided than ever. So, Virginia Tourism set out to share some love, to prove that Virginia is still for lovers. 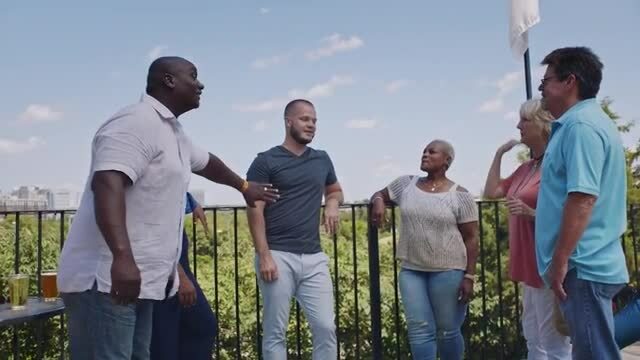 Enter “LoveShare,” a campaign which includes a series of films in which real people divided by race, sexual identity and socio-economics were brought together to share a Virginia vacation built around things they love. Through shared experiences, common passions and getting up-close to Virginia’s culinary scene, people who have their differences were reminded that the things they share are much bigger than the things that divide them. And in the end, proved Virginia really is for lovers. In this short, we meet Jena and John, an interracial couple and their parents. They take a vacation together for the first time, bonding over a backstage tour of Richmond’s craft brewery scene. Client Virginia Tourism Agency The Martin Agency Karen Costello, chief creative officer; Trent Patterson, SVP, creative director; Scot Crooker, Mik Manulik, associate creative directors; Coleman Sweeney, Derek Meyer, content producers; Erada Svetlana, digital producer. Production Alkemy X Jonathan Yi, director; Jeremy McDaniel, DP; Nick Pitcavage, exec producer; Sara Iverson, EP, sales. Production Services & Editorial Mondial Ash Bruce, exec producer; Danny Caporaletti, assistant director; Nick Wurz, editor; Will Renton, colorist. Music Tiny Lion Audio Post In Your Ear Paul Bruski, audio engineer.